Looking for new innovative ways to perk up efficiency at work? Considering taking your documents to the cloud, but not sure what substance should be in the digital space? 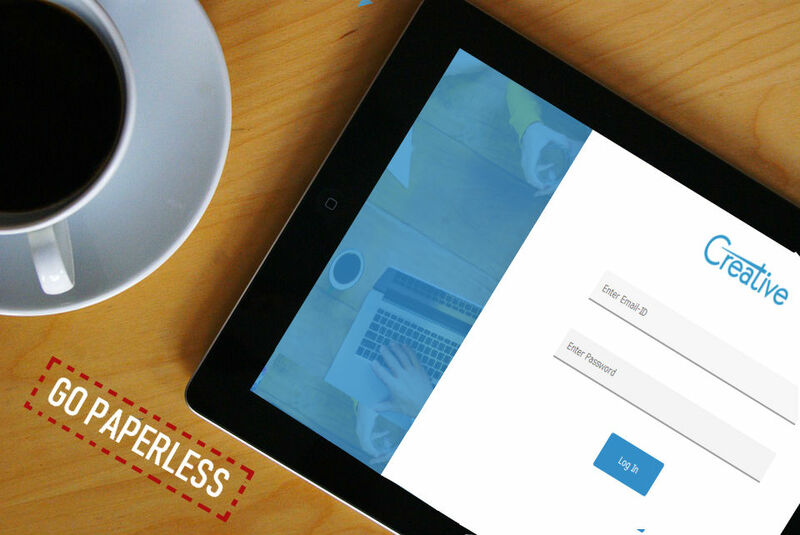 Transform your office into a digital workplace by exploring the benefits of going paperless. Going paperless move may have seemed somewhat visionary few years ago, but The real need to go digital and move away from traditional formats is today recognized across almost every organisation in every industry, including government institutions. Technically speaking, there isn’t much wait or difficulty in the way of moving to a paperless office. Servers can provide sufficient space and processing power to handle virtually any amount of data, files, documents, etc. But this doesn’t mean replacing your shelves with a server room you can simply choose from plenty of available cloud providers. Again today’s high-speed networks allow users to work on a laptop, a tablet, or a smartphone as if all the information were already stored on their devices. However, some organizations still struggle with the thought of being 100% digital, even if their entire teams are spending huge lot of time in filing, organizing and fumbling through a mess of paper documents. Why Intranets are still the Key Digital Workplace Networks? Hence, if you’re forecasting to transform into a paperless organization in 2019 and are looking for great strategies to get everyone on board with going digital, your wait is over! You can simply contact Creative Social Intranet. Listed below are five effective benefits of transforming your office into a digital workplace. Possibility of putting the content where the employees actually are is one of the main key-benefits of going digital. Whether your team is working from your headquarters, or offices around the world, or from home, on the train, in a hotel or at a conference; in short basically from anywhere, digital workplace suits everyone. The employees get more flexibility to work anytime, anywhere thus allowing the employer to also save on office space. With teams spread all around the globe, changing to a Digital Workplace can be a true game changer. For instance, when advertising teams are spread through different countries, having shared workspaces, ensures all team members are aligned and up-to-date on projects timeline and status. At times, for many projects, companies have to collaborate with their external partners. Collaboration is so much easier when all project-related data and documents are digitized and made available on a online system which everyone involved has an access to. Creative Social Intranet’s avid features and latest technologies are the safest way of managing business data when it comes to collaborating directly with teams, clients, partners or vendors. Digitization proves a massive efficiency –booster for companies. No more looking around for the reports you need in a cabinet somewhere or on a shared drive. Its remarkable that not only you can hunt and find the file you are looking for at speed, but a lot of prior routine tasks, for example cross-checking information, are nearly eliminated. This was exactly the case history of one of a recent success stories, reported by a public institution; its journey from a bureaucratic, paper-centric structure to 100% digital progression. The digital platform is also an extraordinary example of how a digital collaboration platform permits entrepreneurs to share their ideas and best practices, develop their capacities and also engage with potential investors through an network of tools and services. So Where does Creative Social Intranet fit into an enterprise’s Digital Workplace strategy? Along with your content, your business processes will also be digitized. This will enable companies to generate reports straight away, on live-data and pin down possible improvements very quickly. Hence, It goes without saying that in profoundly regulated industries such as manufacturing, advertising or Life Sciences, having this kind of real-time insight is a critical mission, not only in terms of compliance, but also to improve productivity. Contrary to few years ago, selves loaded with paper documents have been replaced with digital data. Now every employee of any internal or external department has an instant access to all the documents data and information needed. Collaboration is easier. And now many company offices has a bunch of empty shelves.